I really am enjoying the Forever Young cartridge. I think I am going to get a lot of use out of it since I have a daughter. I also want to try some of the purse cuts since there are like 50 of them suckers on there, but I haven't gotten around to that yet. My daughter was putting acrylic nails on a friend of hers to get ready for Prom. Of course being a shutterbug I couldn't resist taking pictures of them in the process. I think I irritated her since she wouldn't look up but luckily her friends like to have their pictures taken! The patterned paper is 3 Bugs and is some I got probably 2 years ago when a LSS was closing down. My daughter has always liked the paper but this is the first time I have used it in a layout. I was afraid of the pictures getting lost with all the bold patterns on the paper so I double matted with white and then black. I think it gave the pictures the right frame to make them stand out more. I try not to always matte photos but I find myself matting more than not. 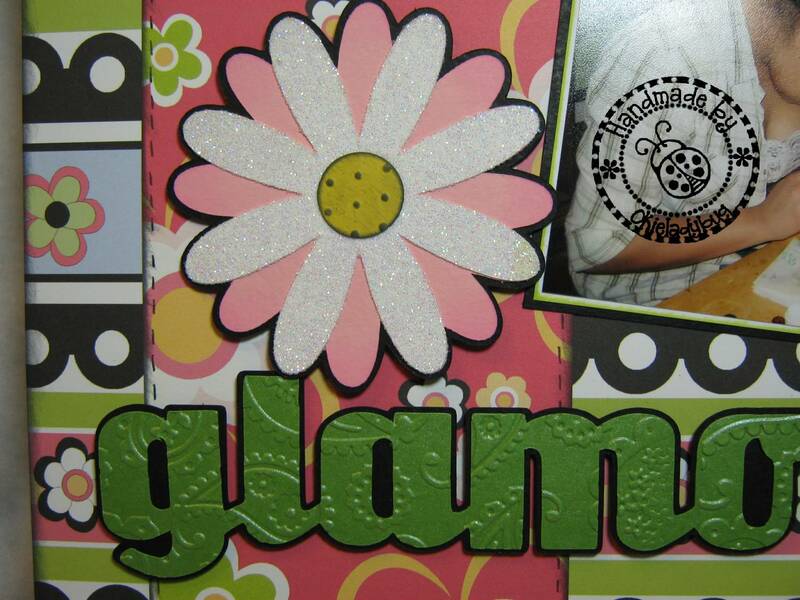 The title was cut out of Stardream Mica and then embossed with the Paisley Cuttlebug folder. I did the embossing because it looked too plain and after I did it I thought it didn't need any doodling *okie isn't going to tell them that she started to doodle but then decided she would be doodling all day, suddenly the polly wolly doodle all the day pops into okie's head*. I love the Mica embossed and since it is a a good thickness it always looks great embossed. 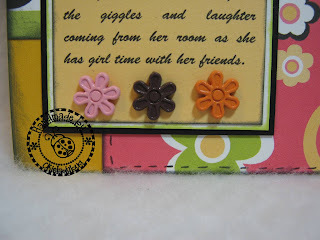 I used the Swiss Dots folder to emboss the center of the pink and white daisy. 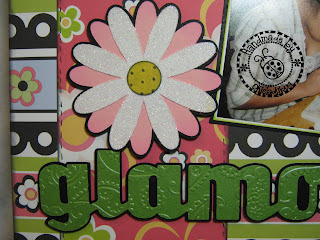 I ran the white cardstock through my Xyron and then sprinkled with white Doodlebug glitter. I like this flower with all it's layers and instead of laying it flat I only glued around the centers on the top two layers so I could turn the petals up. You guys should know by know I am all about DIMENSION DIMENSION DIMENSION! Speaking of dimension I went to see my first 3D movie last night, The Green Hornet, and it was aawweessoommee! 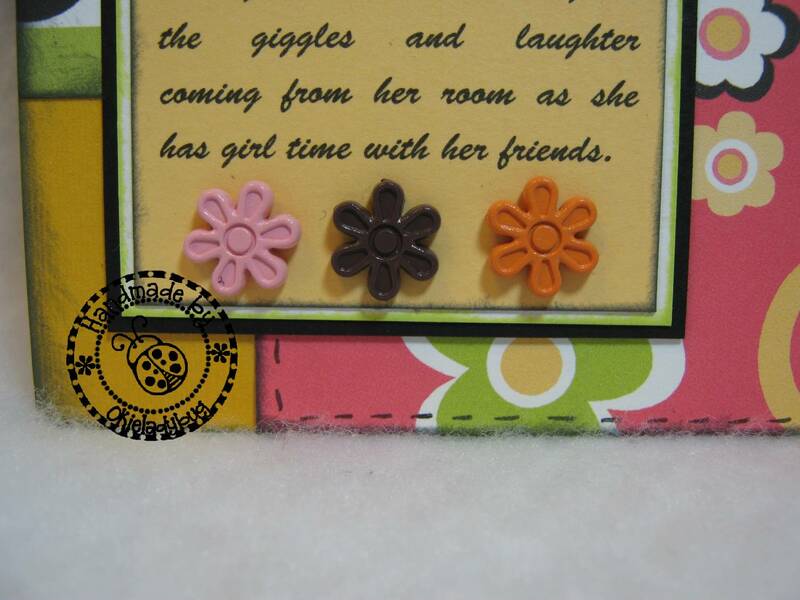 Anyway back to the flower, the center brad is a Stampin Up! brad from the Earth Elements collection. I got 3 of these sets during the big clearance sale a while back. 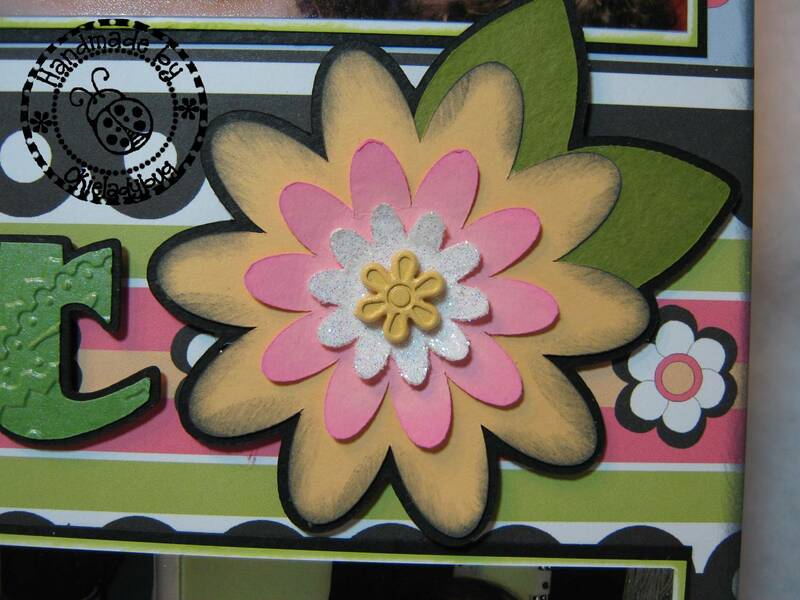 I also glittered the white layer in the same fashion as I did on the pink and white daisy. I didn't want the journaling to look so plain so I left a little extra space at the bottom of the cardstock I printed on so I could add 3 flower brads there. Even though there isn't any brown in the layout the middle brad still seemed to cooredinate well with all the other colors. I thought I would use these brads on cards but then I found myself not wanting to "waste" them on something that might get thrown away. Don't forget you still have time to enter my ProMarker giveaway and also the giveaways on GOING BUGGY with Enfys. the embossing, glitter and brads. It came together in a most Awesome way! I really really want this cartridge. This is a beautiful layout. I love how you embossed the letters. Gives it a really nice touch. Nice layout Okie!! You crack me up ~ I love your funny comments. Have a wonderful day!! Love it!! Yeah I mat most of my pics too. I love that cart also, have used it several times. I love this layout!!!! The flower is AWESOME!!! Thanks for all the inspiraton, I love your work!!! way too cute okie!!!!! and such cute girls! Okie I love every single thing you do! And Hair/Makeup GLAMOROUS layouts are NO Exception! I love the colors you used, this just POPS! I bought Forever Young right after it came out. Had to have it because of the purses on it. Haven't cut a single purse out yet! The layout turned out cute! Wow! That is just beautiful. I feel so inadequate, lol. I don't have any machines so I do everything by hand, but now, after seeing this, I'm dying to get at least one. I love love love this layout!! The way you added the glitter really makes it POP! wonderulf. i love how the pix are angled a bit! I love the way your layout turned out. The big flowers fit in so nice and wonder what cart they are from...were they in Forever Young also? Cute layout!! P.S. I had to sing the "Polly wally doodle all the day" song in HS while in concert choir. TO this day I can't remember all the words except for some of the polly wolly parts....lol! This layout is so pretty, love the bold colors and the way you matted the photos, they don't get lost at all. The bold colors are BEAUTIFUL!!! great page. This layout is beautiful. I have this cartridge, but haven't used it much. You've inspired me to pull it out again. 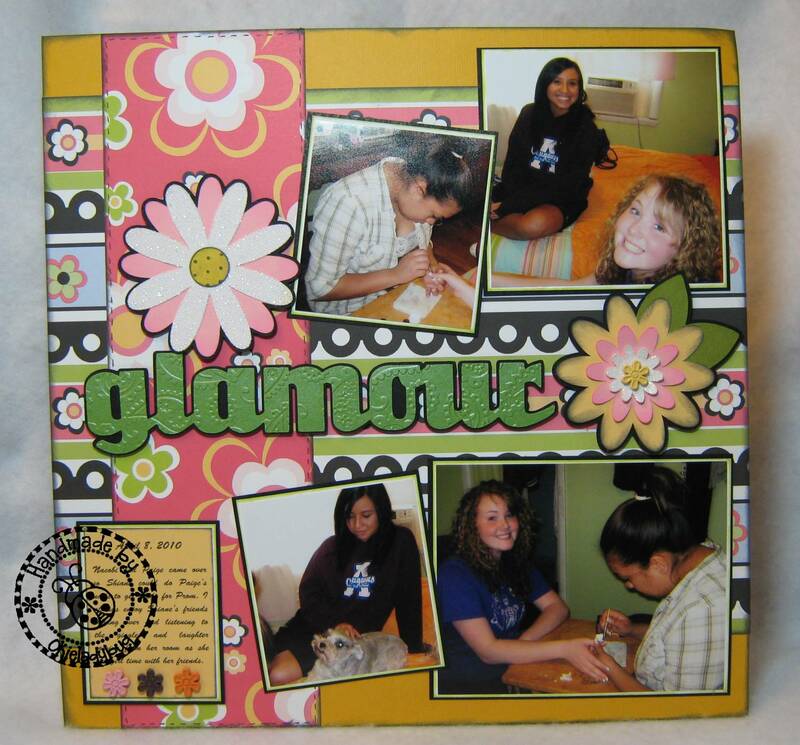 Love the bold colors and the embossed title is to die for.This layout is a wonderful way to save a fun memory for your daughter. This is a really lovely layout, perfect for those really girlie photo's. Can't find the App Sketch2Scrap. Bummer. Have you seen the new Expressions? 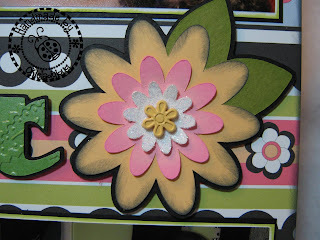 Going Buggy Blog Hop Winner! Want to win some prizes? I do not hoard...I garner! I did a NO NO! Want To Love ProMarkers? GIVEAWAY!